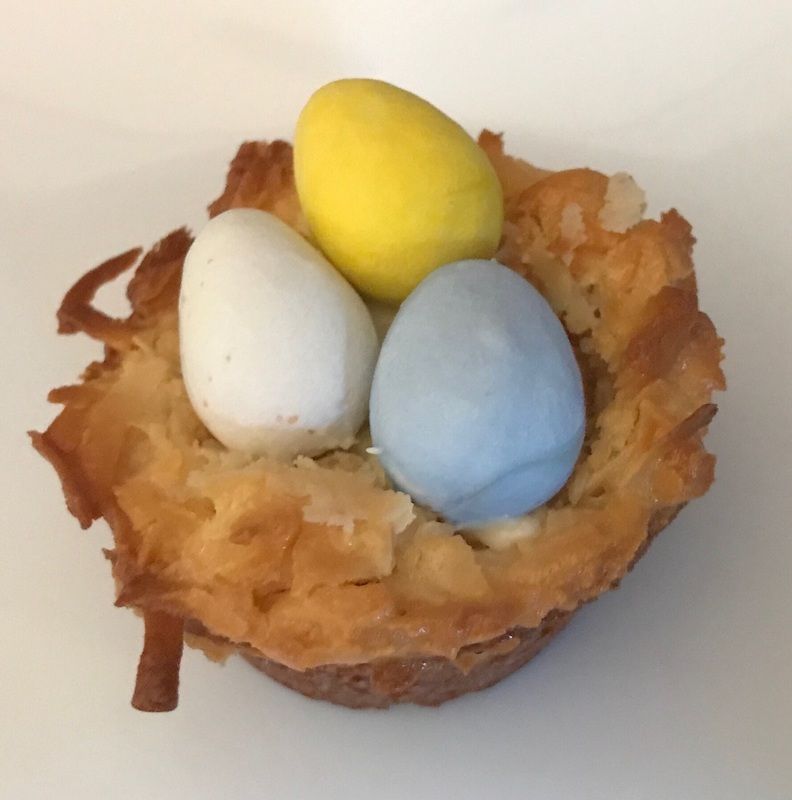 It’s the day before Easter and I’ve been seeing cute pics all over the place of bird’s nest macaroons. They all contained the dreaded E word– egg. So I turned to Rianne, the trusted blogger at Art of Dessert and sure enough she had a recipe for egg free macaroons. I used her recipe but instead of using a cookie sheet I used a mini muffin tin (lightly greased with butter). Her recipe says it makes 3 dozen cookies and there was in fact enough batter to fill my tin which holds 36 mini muffins. The cookies were ready in just over 20 minutes. I pulled them out of the oven and gently pressed in the middle of each cookie to give it the nest shape. Then I filled the cookies with white chocolate chips from Vermont Nut Free. I put the cookies back in the oven for no more than a minute to melt the chocolate. I pulled them back out and added Cadbury Mini Eggs in each nest. They are really cute and tasty. My baking always tastes better than it looks so I’m sure someone with more patience and skill than I possess could make them look even cuter. Perfect or not, my kids were delighted!